Despite the recent growth of new social services like Snapchat, the undisputed kings remain Facebook and Twitter (sorry, Google+). 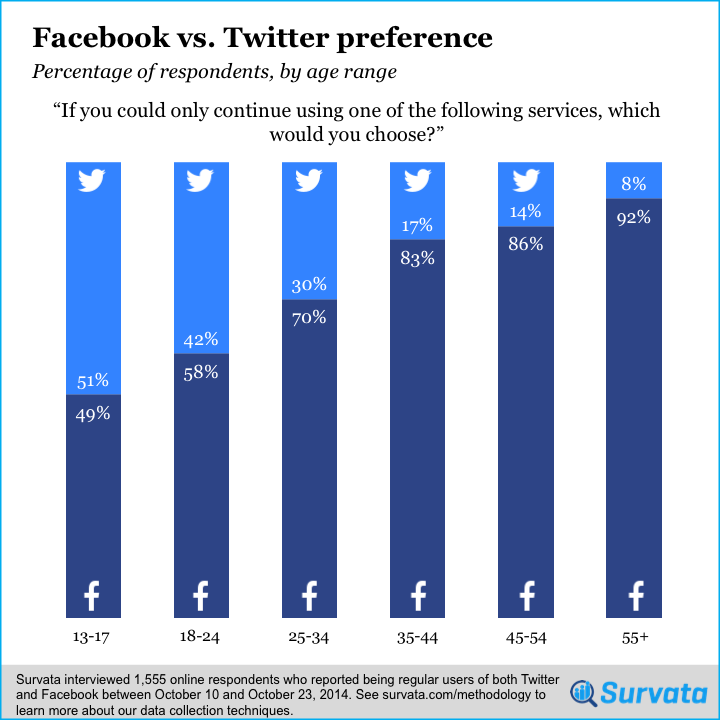 We at Survata were curious how users of both services would react if they were presented with a digital Sophie's Choice: Making them select only Facebook or Twitter to keep using. We used our consumer survey service to interview thousands of online respondents, and screened for 1,555 respondents who reported being regular users of both Facebook and Twitter. Those respondents were then asked "If you could only continue using one of the following services, which would you choose?" followed by randomized answer options for Facebook and Twitter. Overall, 65% of respondents chose Facebook. However, it's more insightful to review the data by demographic segment. In a surprisingly consistent trend, users preferred Facebook more as they got older - the 55+ crowd chose Facebook 92% of the time. In fact, the only age group to prefer Twitter (51% of the time) was 13-17 year olds. 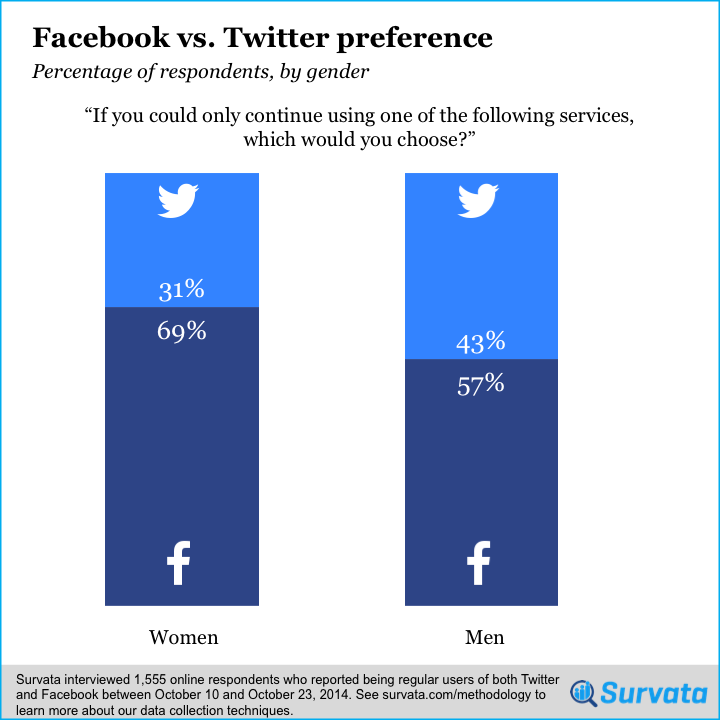 Both genders preferred Facebook, but their advantage was stronger among women. We did not ask respondents to list a reason for their choice, so we don't have any evidence behind Facebook preference. Which Tech CEO Would Make the Best President?